I never thought I’d ever consider traveling around the world as one of my dreams and goals in life. I used to be the kid who only cared about her grades and how to make money. Not until I met the two people who changed my perspective. I met one of my friends in college because of my scholarship. Let’s call her Stephanie (not her real name). From the first year to the fifth year of college, we were in the same classes and sat together. She was one of those people who dreamt of traveling around the world. And I guess being around her made me want to do that too. But we never really started traveling until my boyfriend suggested we all go camping in Mt. Jumbo. From then on, I started traveling. From camping in mountains (because we only have mountains in Benguet) to going outside the province, I wanted more. Needless to say, I started traveling to different places with my friend, my boyfriend and a few other friends that I had. So did I ever learn something from my travels? Yes, I did. I did learn a lot. If you don’t know the right directions or if you think you’re lost, ask questions. You won’t reach your destination if you don’t ask for some directions. And sometimes, the people you ask will even tell you a few tips, give you some advice and show you the shorter way to get there. There’s the saying that a person’s travel experience often depends on the people he or she’s with. If you’re with a person who’s fun and adventurous, your trip will also be full of fun and adventure. But if you’re with a gloomy person who complains about everything, your trip won’t be that fun. Once you know the twists and turns of a place, the next time you go there, you’ll feel like you’re one of the locals. Plus, every experience we get from our travels prepares us for the next. If you got sick from a certain food, the next time, you’ll know what not to eat. You can book a luxurious hotel, or camp under the stars, all that matters is you have a roof above your head In every tourist spot, there is one person who books a stay with the most expensive hotel, another one who books a budget hotel and another one who decides to camp out. No matter how grand or how cheap their accommodation, they will all see the same tourist spot. During one of your travels, you will meet a lot of people along the way. There’s that person who will sit next to you on the bus, be in the same line with you on the supermarket, share a table with you in a restaurant or hand you that coin that fell from your pocket. All of these people have interesting stories to tell, be friendly enough to introduce yourself and ask for their name. He or she might be your next best friend. When traveling to a new place, there are so many roads that you can take and so many ways to get there. 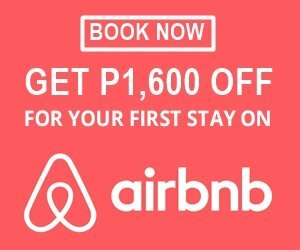 You can opt to ride a plane, a jeepney, a taxi, a motorcycle, a rented car and so much more. Sometimes, when you travel aimlessly, you’ll still end up in this same destination. Whatever your goal, you have tons of ways to achieve it. Don’t limit yourself and say that you can’t reach it without even thinking of ways to get there. One whole year is composed of several weather updates. Sometimes the sun shines brightly and sometimes it rains. And no matter how tuned in you are with the weather news update, there will still be times when the clouds come and times when the sun shines. Before agreeing to anything, know how much it costs first. How much is the price that you have to pay? Don’t just say YOLO and say yes to everything. Your budget might not be enough. These are just some of the things that travel has taught me. If you liked the article, do give Wanderera a like and follow on Facebook and Instagram.